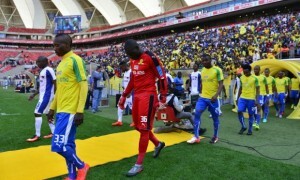 iDiski - Soccer Blog and Football News PSL news Losing MTN8 Was A Wake Up Call For Mamelodi Sundowns? Losing MTN8 Was A Wake Up Call For Mamelodi Sundowns? Mamelodi Sundowns were hammered 3-0 by Bidvest Wits in the MTN8 final and they Wits dominated the game from the first minute until the last minute but I think losing the final helped them to fix many things in the team. When the team always win that makes think that they are untouchable and forget that they can be beaten that's what happened to Mamelodi Sundowns they thought they can't be beaten by any team in PSL. Losing final was a wake up call for them to go and strengthen the positions where they have problems at and I think they did exactly that you could tell that they improved a lot judging on their game against Zamalek in both legs home and away.